The next morning, Sunday, I woke up and was still having stomach cramps. I then noticed that I was starting to spot. I did a little bit of research online and realized that I might be facing a miscarriage. I debated staying home and resting, but eventually decided to go to church. I was in a constant state of prayer, just begging and pleading with God to heal me and my baby, and let me go on to have a healthy 9 months of pregnancy. As we started singing the song by Chris Tomlin, Our God (http://www.youtube.com/watch?v=zlA5IDnpGhc) I started to weep. The lyrics, “And if our God is with us, then what can stand against us” really touched me deeply. In my moment of weakness, I knew that God was stronger than all of this, and he would pull me through this. It is obvious to me now that Satan was trying to attack me at my weakest moment, and he was doing a good job getting inside my head. But God had his hold on me, and the Holy Spirit guided me to not turn away but instead continue to pray to my God. Prayer is the only reason I survived that battle. It was the hardest day of the week for me, because I had no idea yet if this was happening, but I felt hopeless and sure that I was losing the baby. In my weakest moment of heartbreak, I fell to the ground and cried out to the Lord, “Please Lord, please. Please keep my baby alive. Please Lord, PLEASE!” I was crying so hard that I could hardly breath and I was begging God to let me have this child. It was heartbreaking for me praying, because I knew that God could save this pregnancy, but I also knew that it might not be in his will for me to have a child right now. I knew that I had no control over what was going to happen, but I hoped that God would give me what I wanted. After I calmed down, I pulled myself together and went to church to set up for Vacation bible school, and I focused on that task and tried not to think about what was happening with my body. When I got home from setting up for VBS, I looked to God’s word for comfort, prayed, and then left it in God’s hands. After praying, I felt confident that God would heal me and the baby, and I went to sleep that night feeling peaceful. It was June 10, 2011 and I was anxiously waiting for my period to start. 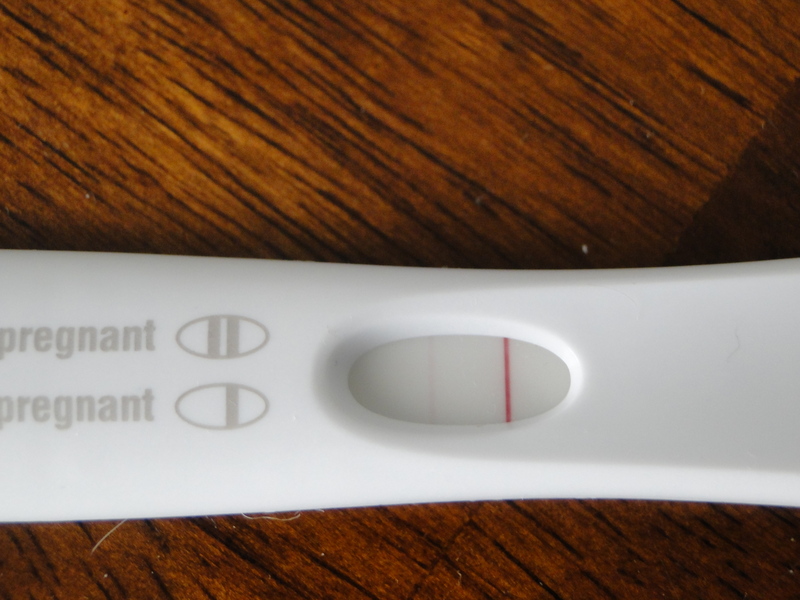 I had been extremely emotional that week, and I just had a feeling that I might be pregnant. I think I sat on the couch all day long, just sitting, and waiting for something to happen. I was too nervous to do anything other than sit there and wait. When my husband came home from work, and my period had not yet arrived, I begged him to go to the store and buy me a pregnancy test. 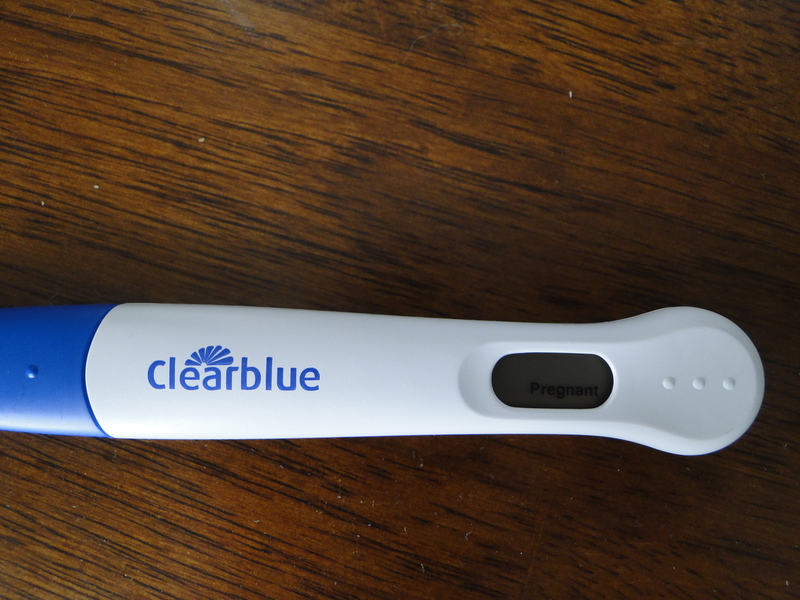 Jonathan asked that I be patient and wait a few more days, as he didn’t want to waste money on a pregnancy test. I’m quite annoying when I don’t get my way, so Jon eventually gave in and went to the store to buy a test. I took the test, set it on the counter, and asked Jon to set his timer for 3 minutes. My hands were shaking from the nerves, and I was scared that I would see a negative result. I went and sat on the bed, folded my hands in my lap, and prayed to God. I asked God, that if he could just bless us with a child, I would be a good Christian mother. Jonathan was in shock. I had to do a google search to show him that even if the line wasn’t as dark as the control line, a second line faint or not was a positive result. We had to leave the house because we had plans to eat dinner with Jon’s parents at I-HOP; we decided that we shouldn’t say anything yet. On the car ride there, I look over and notice that Jon is crying, and I said “Are you okay?” He replied, “I’m happy. I didn’t think we would ever get pregnant.” (A side note: I suffered with endometriosis until January of this year-that story coming later). It was a beautiful moment seeing my husband so happy about the life God created through us. We were both full of joy as we ate dinner with his parents, and it was very difficult not to talk about what we had just discovered. After dinner we were going to meet at their house to watch a movie, and we decided that we were just too happy not to share our good news. We went to target and found two bibs that said, “I love Grandma” and “I love Grandpa”. When we told Jon’s parents the good news, his mom screamed in excitement, and his dad was just as shocked as Jonathan. It was a wonderful and exciting evening celebrating our pregnancy. We calculated that I was due around February 16, 2012-just a few weeks before our one year wedding anniversary. We spent the rest of the day talking and planning for our Valentine’s Day baby. It was one of the most joyful days of my life-being completely filled with excitement and hope. I had promised God that I would be a good Christian mother, and I was ready to start immediately. I read the bible to my belly starting from the beginning. I even made Jonathan read some of the bible to my belly-which we did feel a little silly doing, but I believe that life begins at conception. Later that night I called my parents to tell them the good news. My dad was shocked but happy. My mom was worried for me. It was funny to see how everyone reacted differently. After I got off the phone, my stomach started to cramp, and I told Jon that I was headed to bed to get some rest. We wanted to call others, but I was worried that maybe I was causing too much stress to my body. I thought a good nights rest would make everything better.